Just because that shiny subcompact crossover sitting in the showroom costs about half the average new car price doesn’t mean it has to be devoid of personality. 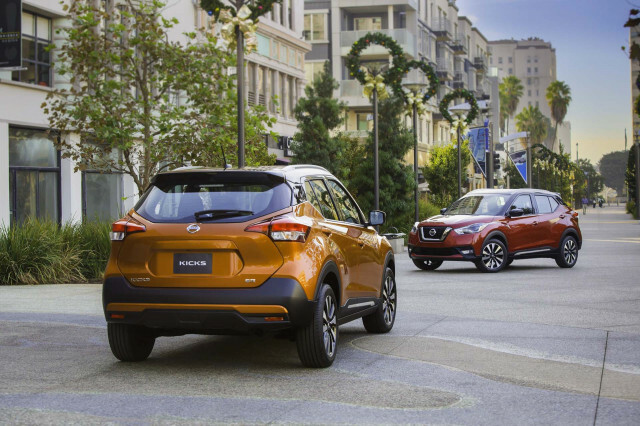 Enter the 2018 Nissan Kicks and the 2018 Kia Soul, two takes on small cars with style and personality. The 2018 Soul, with its broad lineup, earns our nod—but the 2018 Kicks offers tremendous value and lots of standard active-safety gear. Both cars follow the same general mold: they’re subcompact hatchbacks with a higher, SUV-like seating position and decent cargo space. Though the Soul is available with a turbocharged engine, those models start at about $24,000. The majority of Kia Souls found on dealer lots instead use a 130-horsepower inline-4 paired to either a 6-speed manual or a 6-speed automatic transmission. The engine provides the Soul with decent power and as high as 27 mpg combined. The Soul wins out on ride quality, as the Kicks’ suspension is firmer and transmits more road imperfections to the cabin. Despite their crossover-esque shapes, neither offers all-wheel drive. 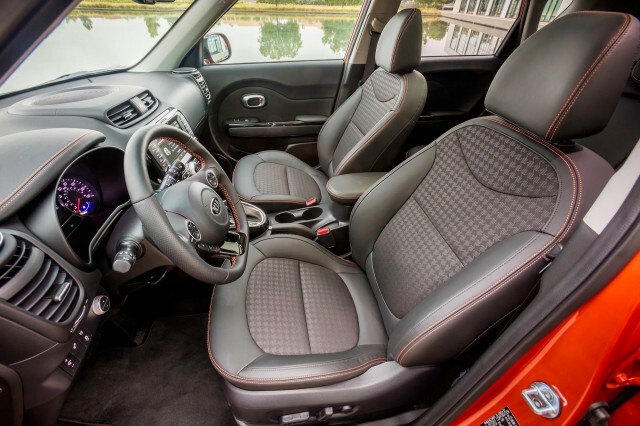 Inside, both offer surprisingly good space but the Kicks has a narrower feel than the Soul. 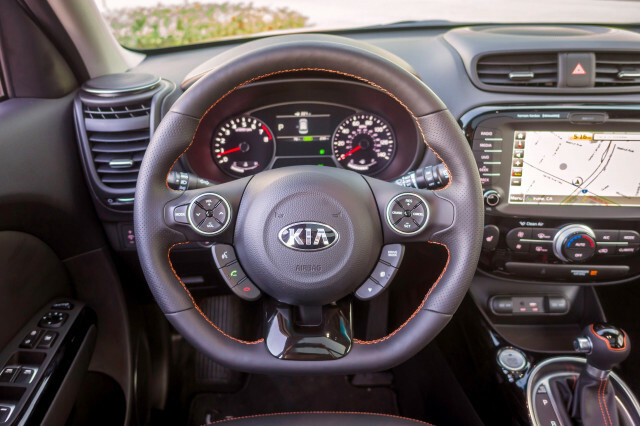 In our testing, we’ve found the Kia’s front seats to deliver better long-distance support and they can be upholstered in leather—albeit for a price well above the Kicks. Rear-seat riders will find decent space in either, as long as they’re not in the tight middle seat. We don’t consider either vehicle to be a proper five-seater, however. In terms of cargo space, it’s a draw. The Kicks has slightly more room with the rear seat upright, while the Soul delivers maximum cargo room. The Kia’s rear seats fold down to make a mostly flat cargo area, while the Kicks has a hefty lip where the rear seatbacks fold. Both small cars have imaginative designs and can be dressed up with contrasting roof paint and a full set of dealer-installed accessories. 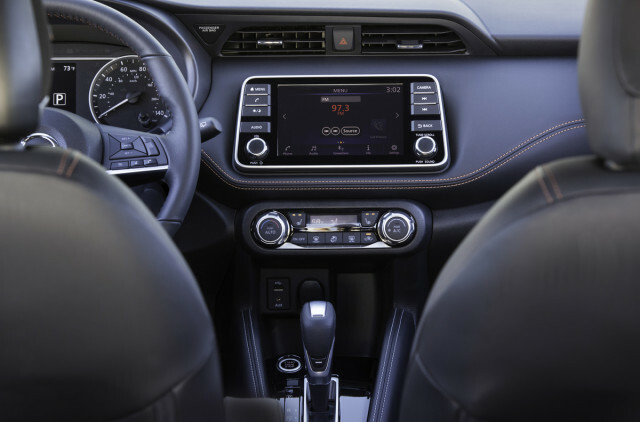 The Kicks’ interior has decent tech for the money, with a big 7.0-inch touchscreen for infotainment—although you’ll have to step up to the Kicks SV trim level to net Apple CarPlay and Android Auto. Ultimately, the Soul has a dressier feel with nicer materials but it too makes buyers pay extra for Apple and Android connectivity. When it comes to active-safety gear, the Kicks surges forward thanks to standard automatic emergency braking. That essential gear is optional on the Soul, reserved for a specific trim level that ups the price to $23,000—and, perplexingly, it’s not available in every color combination. 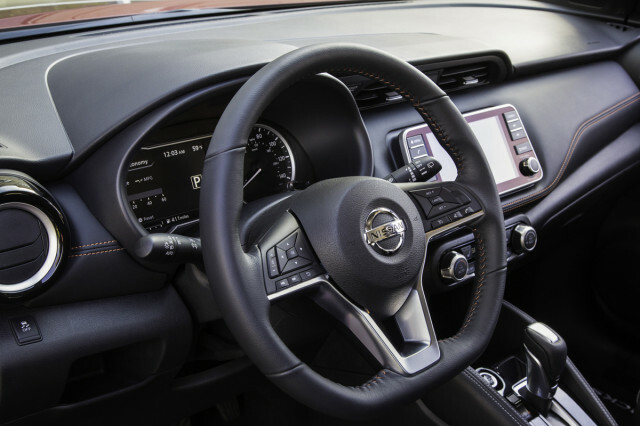 Within the next few years, automatic emergency braking will be standard on almost every new car, so the Kicks has a leg up on its competition for now. In terms of value, the Kicks is well-equipped at about $20,500 for the SV trim level. A similarly optioned Soul+ runs about $21,500, albeit without blind-spot monitors and automatic emergency braking. For budget-conscious shoppers, the Nissan Kicks delivers a lot of value with a hint of personality. 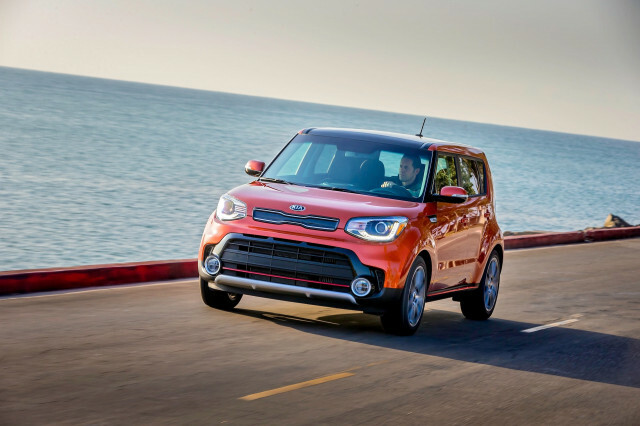 The Kia Soul is the better option overall, but its price tag may stretch some budgets too far. Either way, these two subcompact crossovers are the antidote to cheap, boring cars. 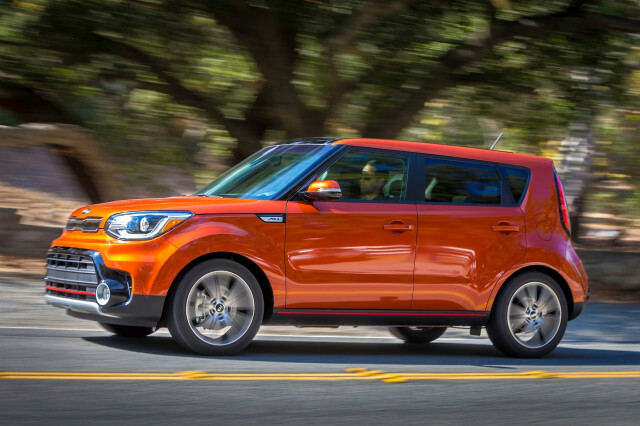 The 2018 Kia Soul puts style ahead of safety features and turbo power. The 2018 Nissan Kicks doesn’t thrill, but its pert styling and good value make it worth a look. The 2018 Kia Soul cheerfully implodes the idea that only expensive cars can look good. The 2018 Nissan Kicks looks more bold than its limited underhood muscle suggests. A humdrum lineup of engines and transmission gets transformed in the potent Kia Soul Exclaim, but there’s a catch. 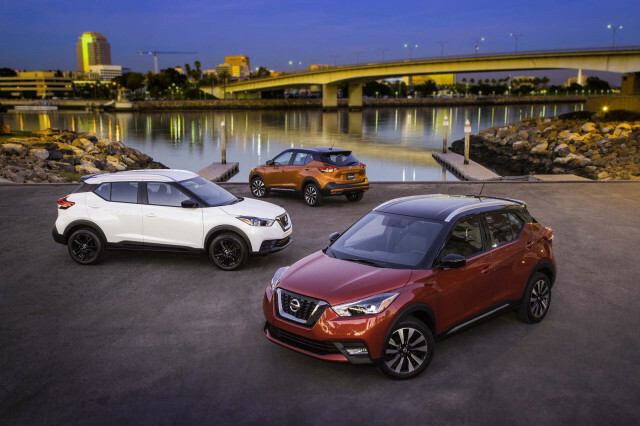 The 2018 Nissan Kicks drives with little verve. The 2018 Kia Soul makes the most of its small-car footprint. 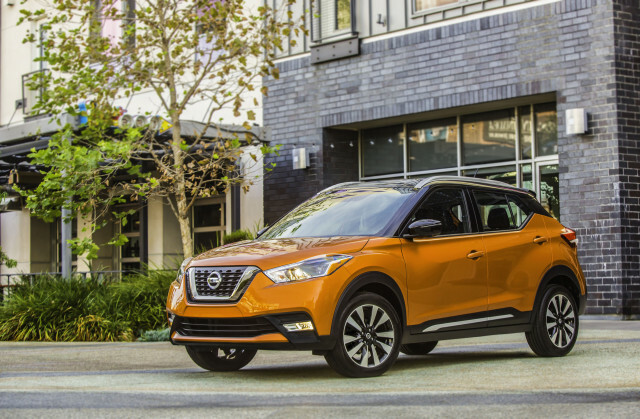 For around town use, the 2018 Nissan Kicks is fine. But it’s not exactly lavish. The 2018 Kia Soul does well in crash tests but you'll have to pay extra for much of its safety gear. The 2018 Nissan Kicks comes with a lot of standard safety gear, especially for its low price. 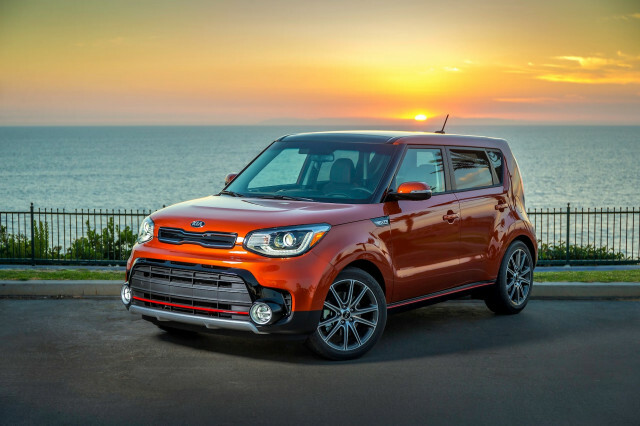 The 2018 Kia Soul has a sterling warranty, but its features are bundled in unusual and expensive ways. The 2018 Nissan Kicks lineup is small, but the orange roof is worth ordering. 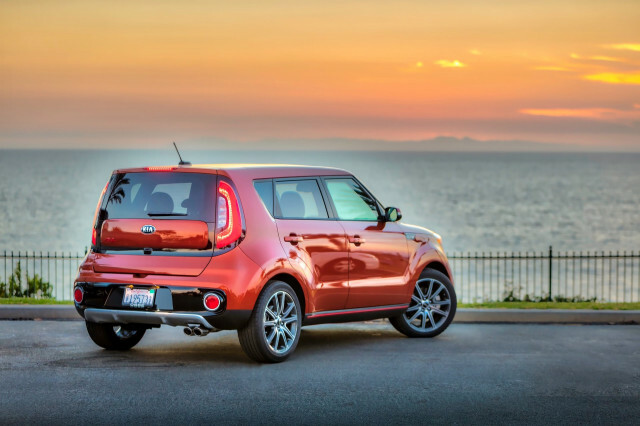 The Kia Soul gets very good fuel economy, but it’s a bit below par in its class. With little power on tap, the 2018 Nissan Kicks is predictably thrifty at the pump. There are no Kia dealers in our network that are located near the ZIP code. There are no Nissan dealers in our network that are located near the ZIP code. We have sent your request for price quotes on the 2018 Kia Soul and 2018 Nissan Kicks to the dealers you requested. They should be in touch shortly. Your request for a fast, free price quote on a 2018 Kia Soul and 2018 Nissan Kicks is in process. The CarsDirect Dealer(s) listed below will contact you shortly to discuss your request and to provide a quote. We'll email you the latest automotive news every day.